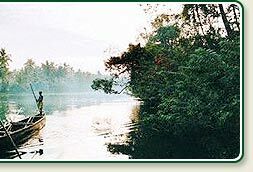 Kollam / Quilon - enjoy tropical back water tour from its starting point in Kollam. 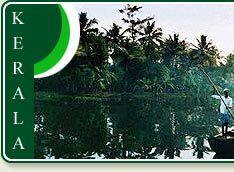 It is said that Kollam (Quilon) is the place where backwaters of Kerala starts. 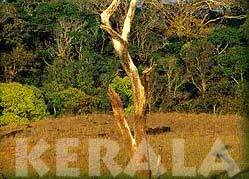 It is 72 km away from Trivandrum and is fairly important for the State's trade and commerce. It is the center of the country's cashew trading and processing industry. It is also an important hub for the State's marine products industry, with the port of Neendakara being the center for travelers and ice plants. 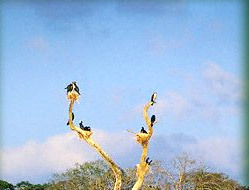 Kollam possess plenty of natural gifts in form of wide rivers, dominant hills and forest, lakes and plains. This place equally represents the modern age with the traces of a bygone era. Quilon has all the representative feature of Kerala - sea, lakes, plains, mountains, rivers, streams, backwaters, forest, vast green fields and tropical crop of every variety both food crop and cash crop. You can relax in the tourist bungalow, former palace of the British resident on the shore of the great Ashtamudi Lake. It has extensive grounds, age-darkened regal furniture, an atmosphere of old times. Many tourists pick up the Chinese pottery shards from the beach and visit the cashew factory. Standing on Neendakara bridge, you can view the backwaters stretching before you. A boat trip around the lake or have a picnic to the huge light house at Thanasseri is one of the favorite activities of the tourists. You can also hire a scheduled boat and make the 9-hour trip through the most picturesque backwaters in the world to Alleppey.